For the challenge, we are to show how progress indicators can be used in e-learning. You will see three different quiz projects in which progress meters are used and it is also possible to download the story files of them. First one is a vocabulary game which has a wheel of fortune game design. Players have to listen to some sentences and choose the correct picture. I used thump icons to give the quiz result a different feeling. Sometimes using icons or pictures for showing the progress of a quiz can be more effective than giving numbers. Here you can see it in action and download the template. In this one, I used a progress bar which shows learners how many questions they have answered correctly and smileys to indicate how many mistakes they have done. To create a bar showing the progress through the course or quiz on different slides, I needed to work with different triggers and variables. 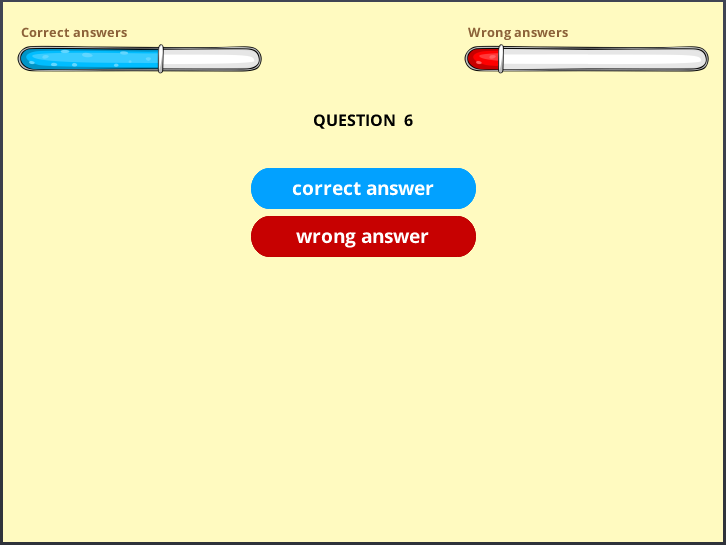 The last template includes progress bars showing wrong and correct answers at the same time. It can be handy while adding gamification into your courses.